Organizations around the world are urgently transforming their businesses, using digital technologies to deliver agility, efficiency, cost savings and superior customer experiences. 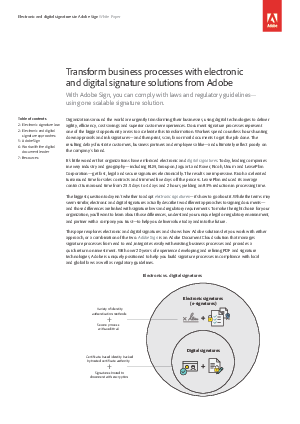 Document signature processes represent one of the biggest opportunity areas to accelerate this transformation. Workers spend countless hours hunting down approvals and ink signatures—and then print, scan, fax or mail documents to get the job done.